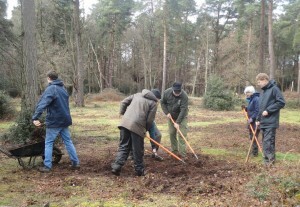 Making heather squares at Burnham Beeches in the juniper and heathland area. 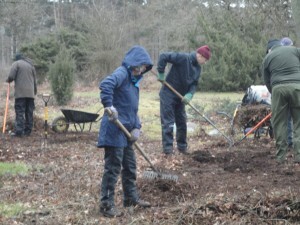 We encourage heather seeds dormant in the ground to germinate by removing the top layer of thatch. 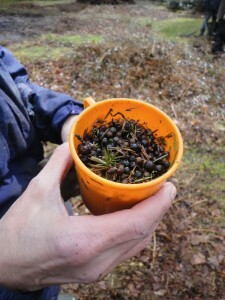 We also collected seeds from the mature juniper bushes and sowed them in the raked areas. 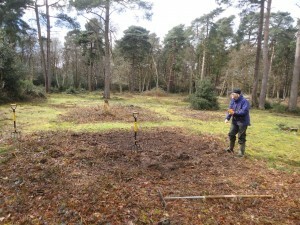 Clearing excess reeds from one of the ponds at Burnham Beeches. 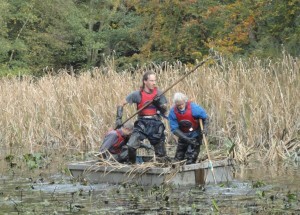 As the middle of the pond is too deep for waders we use a boat! 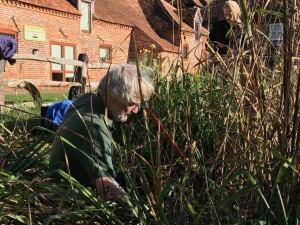 Three of us paddled out to the middle of the pond, pulled out or cut a boatload of reeds, paddled back to the edge where the cut reeds were left to allow any creepy-crawlies to find their way back to the pond. 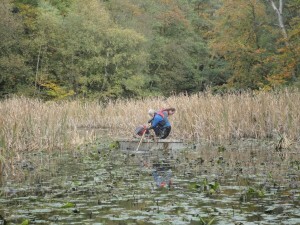 The rest of us worked from the edge clearing as far out as thigh waders would allow. 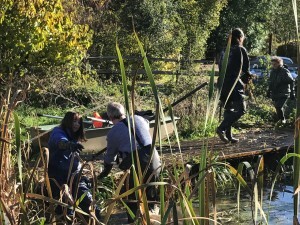 WMCV and the Friends of Woolley Firs cleared the pond outside the Education Centre at Woolley Firs, the Berkshire headquarters of BBOWT. 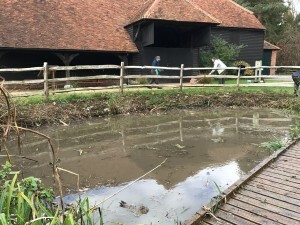 The pond is much used for pond dipping by school parties.